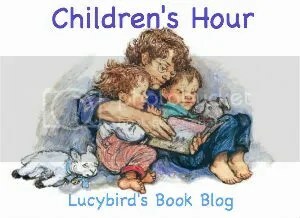 Children’s Hour is a feature here at Lucybird’s Book Blog every Thursday, where I’m looking at children’s picture books. As I work in a nursery I get plenty of opportunities to look at picture books, and to see what the kids think of them so it really makes sense to use those experiences. Happy World Book Day book fans! To celebrate the toddlers brought in some of their favourite books to share with their friends. Over the next few weeks we are going to look at some of them in more detail, but for today I wanted to share what they decided to bring in. Where available links lead to amazon. We’ve looked at this book before on Children’s Hour, although our copy has become ‘over-loved’ it was nice to read it in its entirety again. A book around colours. 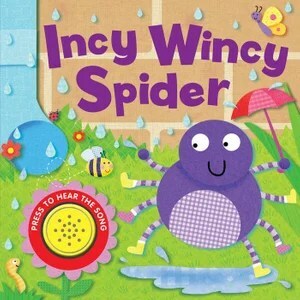 Two kids brought in Incy Wincy Spider books. One a puppet book, and the other a sound book. Exactly the sort of thing you would expect. Simple Fireman Sam sound book. We didn’t read this because it’s more of an activity book really. With the idea being that you do the activity on the board.